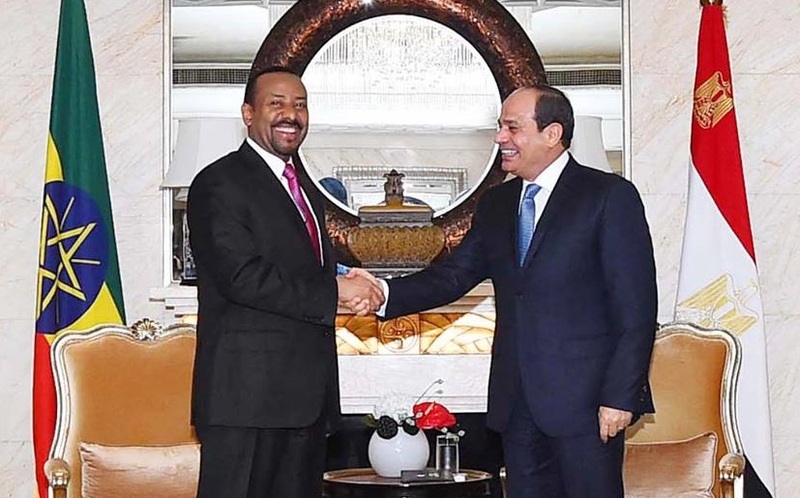 Egyptian President Abdel Fattah al-Sisi will hold a trilateral summit with Ethiopian Prime Minister Abiy Ahmed and Sudanese President Omar al-Bashir on Sunday, during the sidelines of the African Union summit in Addis Ababa. Diplomatic sources said the tripartite summit would discuss the most important issues on the agenda of the 32nd session of the African Union. The three leaders are expected to discuss developments in the continent, peace and security efforts, efforts to counter terrorism and the resolution of current conflicts in some countries in the continent, the sources added. 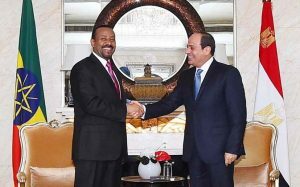 The summit will also review ongoing negotiations within the framework of the tripartite national committee on the Grand Ethiopian Renaissance Dam (GERD), on the principle of not harming the interests of the three countries and their common benefit. Sources said that the summit will review the results of the meetings held by the Ministers of Foreign Affairs, and Irrigation of the three countries and the National Tripartite Commission. The sources added that the tripartite summit will also discuss all aspects of relations between the three countries, furthering cooperation between the three countries and developments on the joint investment fund between them to finance infrastructure projects.